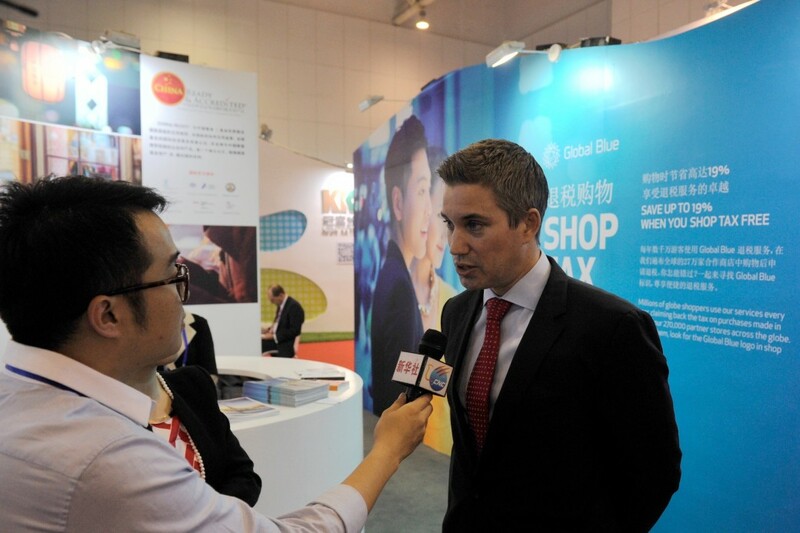 “For Global Blue’s 270,000 merchant partners the CHINA READY Program® represents a new level of service, helping them understand and successfully engage with Chinese shoppers and ultimately giving them easier access to the world’s largest consumer market,” said Mr Greg Gelhaus, CEO Global Blue Asia Pacific. “Global Blue knows the international retail market better than anyone and understands that today it is the Chinese shopper who is at the forefront of this exciting consumer sector. We firmly believe that better service leads to better business”. China Ready Accreditation® will help us simplify the lives of Chinese consumers, giving them the same level of comfort and confidence when shopping in Paris or Rome, as they would experience in Tianjin,” continued Mr Gelhaus. “The Global Blue partnership with CHINA READY is hugely exciting for us and we’re delighted to officially launch what we feel is the world’s leading accreditation marketing package for merchants within the shopping and retail industry,” he said. “China’s incredible economic expansion has created the world’s most affluent generation of shoppers, who take great pleasure in travelling the globe in search of products and retail experiences. For merchants, the opportunities that arise from successfully engaging with these shoppers is vast and is the reason we are so excited about CHINA READY Accreditation®. We firmly believe that better service leads to better business. Our partnership with CHINA READY is just one way we are looking to improve the retail experience for customers and add value to our merchant partners. China Ready Accreditation® will help us simplify the lives of Chinese consumers, giving them the same level of comfort and confidence when shopping in Paris or Rome, as they would experience in Tianjin”, stated Mr Gelhaus. Speech by Mr Greg Gelhaus, CEO Global Blue Asia Pacific at CHINA READY 2015 China Tourism Industries Expo, Tianjin launch, hosted by China National Tourism Administration and Tianjin Municipal Government with support from World Tourism Organization (UNWTO). This is a hugely exciting partnership for Global Blue and we’re delighted to officially launch what we feel is the world’s leading accreditation marketing package for merchants within the shopping and retail industry. A huge part of our job is to help merchants attract more foreign customers and serve them better. Over the last 30 years we have developed a market leading suite of integrated services around VAT refund processing, from consumer intelligence and consulting, to smart digital marketing platforms. 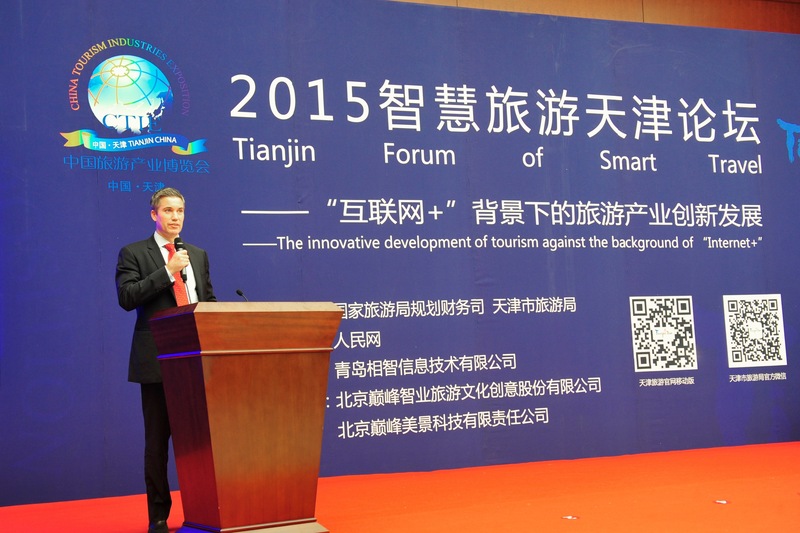 We are pleased to add the China Ready Accreditation to this list. I’d like to take a moment to thank Ms Julia (Ting Ting) Gong and everyone from China Ready for their hard work and collaboration over the last few months. Creating this partnership with you has been an absolute pleasure and we look forward to a long and productive working relationship. For those of you unfamiliar with Global Blue, we are the indisputable market leaders when it comes to globe shopper business growth for merchants, and travel shopping services for globe shoppers. Thirty years ago we invented tax free shopping and still lead the VAT refund serviced market today. Our affiliated merchant base includes 270,000 stores in 43 countries. Almost all major luxury players, hundreds of mainstream retailers and supermarkets, and thousands of smaller independent brands and stores. To these we must add hotels, restaurants, bars, and even gas stations around the world that offer Global Blue’s dynamic currency conversion to their customers. In short, we have an unparalleled network of merchants within the international shopping sector. For globe shoppers themselves, there is no question either. Not only are we the most available tax refund service by far, with the world’s largest merchant base and refund network, but we are also present with practical insights, tools and services at every stage of their retail journey. We think of ourselves as the globe shopper’s best friend and it is our pledge to help merchants and become the globe shopper’s best friend too. We know the international retail market better than anyone and understand that today it is Chinese shoppers who are at the forefront of this exciting consumer sector. China’s incredible economic expansion has created the world’s most affluent generation of shoppers, who take great pleasure in travelling the globe in search products and retail experiences. For merchants, the opportunities that arise from successfully engaging with these shoppers is vast and is the reason we are so excited about this accreditation. We firmly believe that better service leads to better business. Our partnership with China Ready is just one way we are looking to improve the retail experience for customers and add value to our merchant partners. Traveller enrolment is another area we have recently invested in to ensure we stay at the forefront of the international shopping sector. I’d like to introduce the SHOP TAX FREE Card, an exclusive service from Global Blue, which allows travellers to pre-register the personal information required for a VAT refund, as well as their preference in terms of refund methods. When shopping, travellers simply present their plastic or virtual SHOP TAX FREE Card, which is used to automatically retrieve the information required to issue the tax free Shopping transaction. Not only is it a much simpler way for consumers to shop tax free, but it also allows us to collect additional layers of customer data, giving Global Blue and our partners unparalleled insights into consumer behaviour. The SHOP TAX FREE Card is one of many innovations we have in the pipeline designed to improve the standard of service we offer customers and increase understanding between travellers and merchants. As a conclusion let me emphasise one point. As the globe shopper market becomes an increasingly complex, our focus must be on setting higher standards of service and increasing our understanding of customers. The China Ready Accreditation will help us simplify the lives of Chinese consumers, giving them the same level of comfort and confidence when shopping in Paris or Rome, as they would experience here in Tianjin. For our 270,000 merchant partners, the China Ready Program represents a new level of service, helping them understand and successfully engage with Chinese shoppers, and ultimately giving them easier access to the world’s largest consumer market. 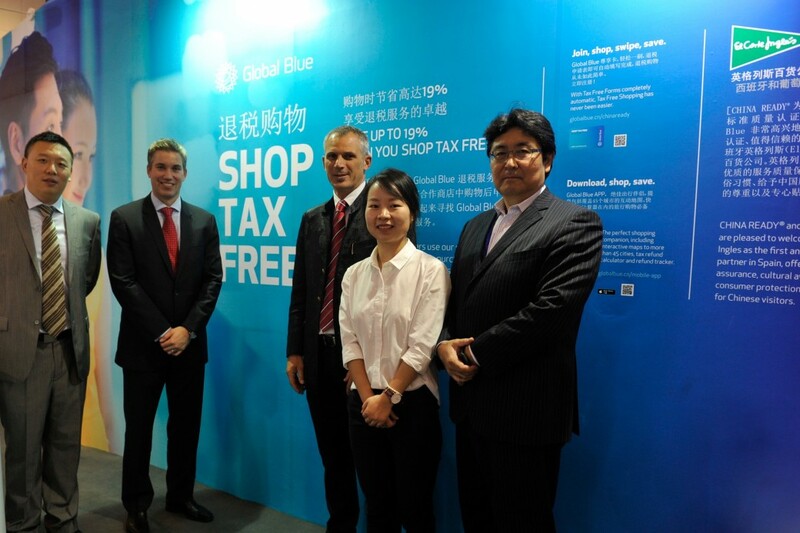 Thanks again to everyone from both China Ready and Global Blue who worked so hard to create this partnership.